(Ace) 26 tracks (69:13) with 8 page booklet. Buck Ram is best known as the manager, producer, and songwriter for the Platters - however they were not the only vocal group under his direction during the 1950s and early 60s. 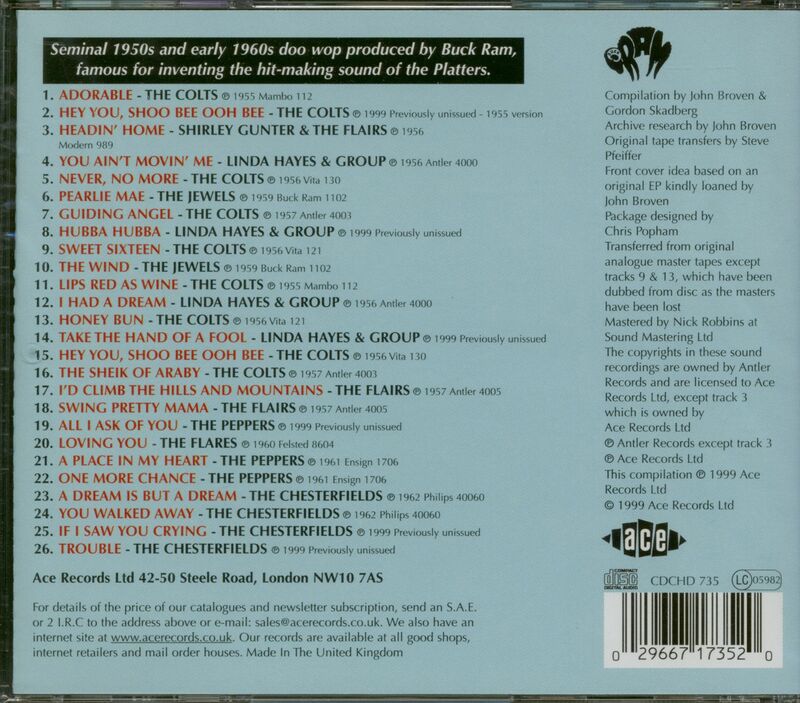 Buck Ram's 'other' vocal groups were the young artists on this CD - the Colts, Shirley Gunter and the Flairs, Linda Hayes (and group), the Jewels, Flairs, Peppers, Flares, and the Chesterfields. Although these groups never matched the success of the Platters, their recordings capturned the same smooth sound and polished stylings of his world-renowned group. 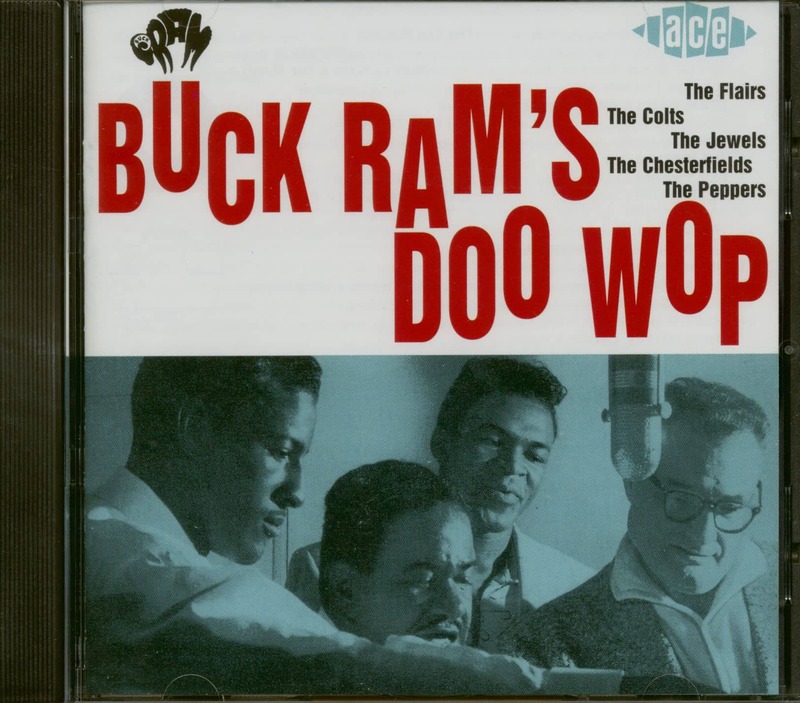 The songs (many written by Ram himself - sometimes using pseudonyms like Lynn Paul or Jean Miles) all provide excellent examples of vocal group harmony and the unique sound of Buck Ram's doo wops. The recording quality of this selection of tracks is incredible-words can't describe it, it has to be listened to. Customer evaluation for "Buck Ram's Doo Wop (CD)"